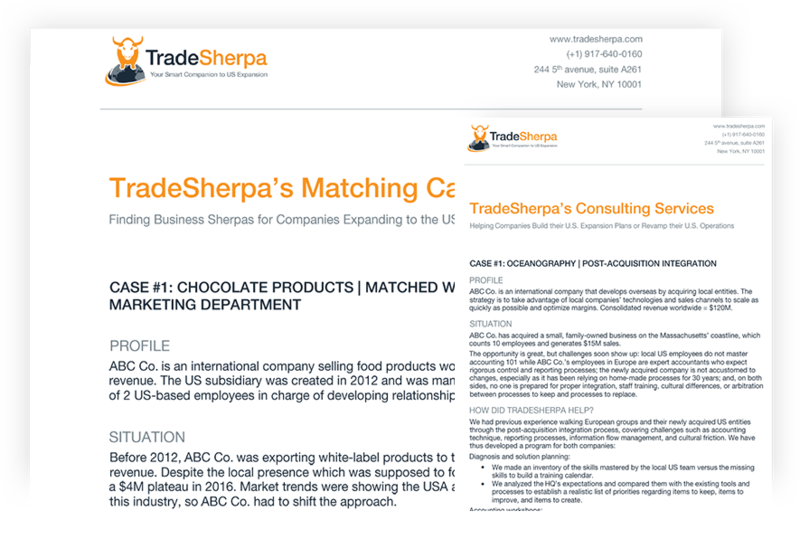 Get a customized business roadmap for the USA and prepare your expansion scenarios. Meet local, calibrated experts that fit your project at each step. Move forward with actionable tools and guides focusing on field challenges. Is your expansion plan a moving target? Let's help! We build a customized, flexible business roadmap to guide you in the USA: to-do lists, timeline, and budget estimates. We cover all expansion aspects such as sales & marketing, HR, legal matters, tax, administrative requirements, etc. This roadmap helps you compare various expansion scenarios and plan next steps with the full picture in mind. We introduce you to the U.S. experts who are best positioned to guide you at each step of your expansion project. 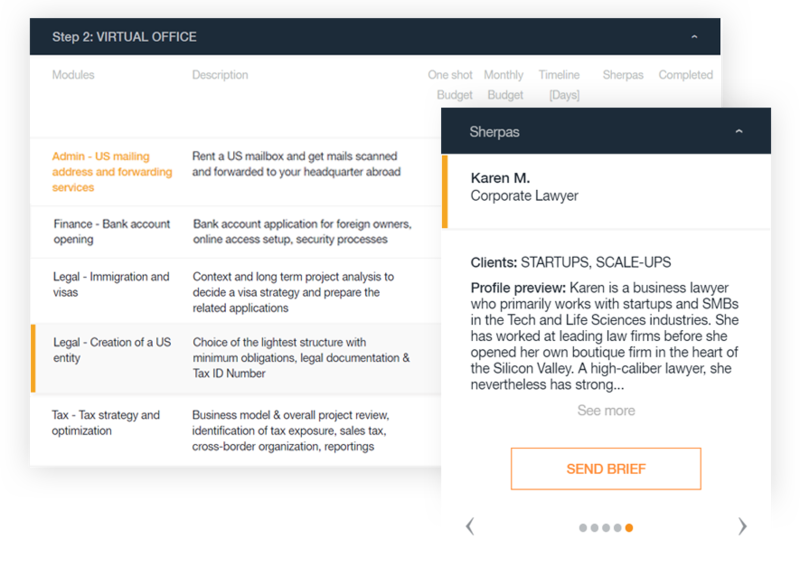 This is a smart matching: understanding your specific business model is our priority; we then select Sherpas based on your objectives, budget, timeline, and work habits. We prepare operational recommendations and detailed how-to guides to help your team achieve progress on the U.S. front. 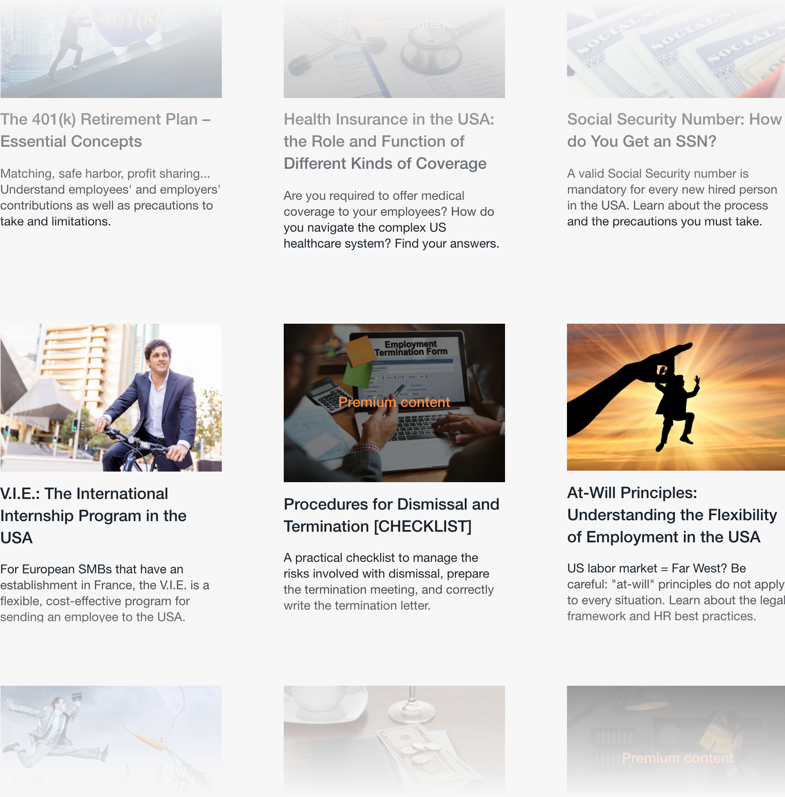 You also have full access to our U.S. Toolbox which further helps you connect the dots and save time on implementation. Have questions as you grow? 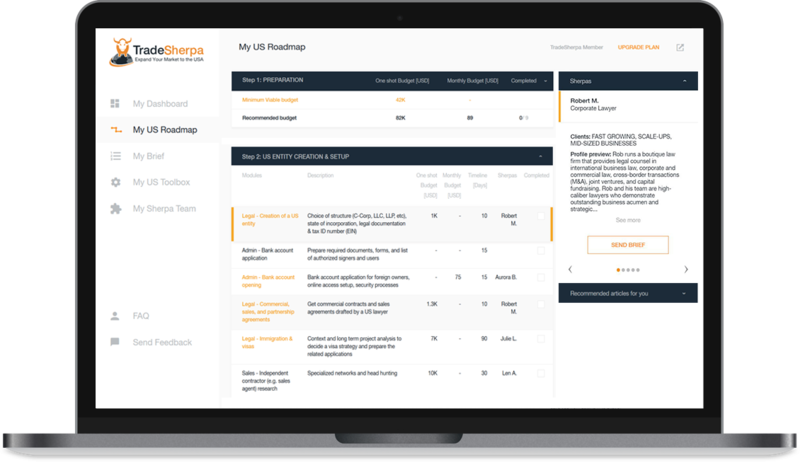 You can count on TradeSherpa. You may have started with your own experts before knowing us. Sometimes… It does not work. Your recruiting agency does not deliver? You’ve been denied a letter of credit by your bank? You CPA is too expensive? We’ll find a solution!